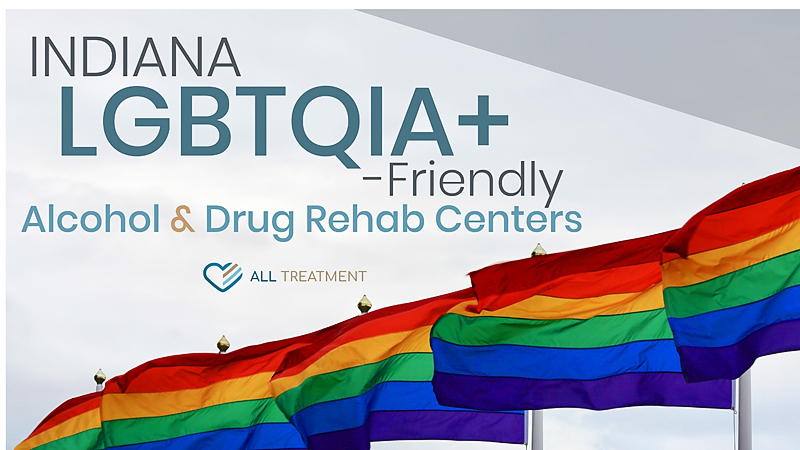 The LGBTQIA+ community faces a special and unique set of lifestyle difficulties that can render them more vulnerable to substance use disorder and subsequent overdose. In addition to the trauma associated with the hostility, bigotry, and marginalization they very often face in their communities, workplaces, everyday lives, and even within their own families, this population often finds it harder to access the same healthcare services as their heterosexual counterparts. The Substance Abuse and Mental Health Services Administration (SAMHSA) reports that those who are considered sexual minorities are more than twice as likely as heterosexual adults to have used an illicit drug in the past year. The United Census Bureau found that a higher percentage of LGBT adults between 18 and 64 reported past-year binge drinking. This disparity is prevalent among all age groups within the LGBTQIA+, including adolescents, young adults, and senior citizens. The current LGBTQIA+ population in Indiana is over 200,000 and growing. These growing numbers demand more resources for sexual minorities who are struggling with drug and alcohol abuse. If you or a loved one are having trouble paying for treatment, your private insurance, Medicare or Medicaid may be able to help. Some facilities also offer scholarship opportunities and other types of assistance.